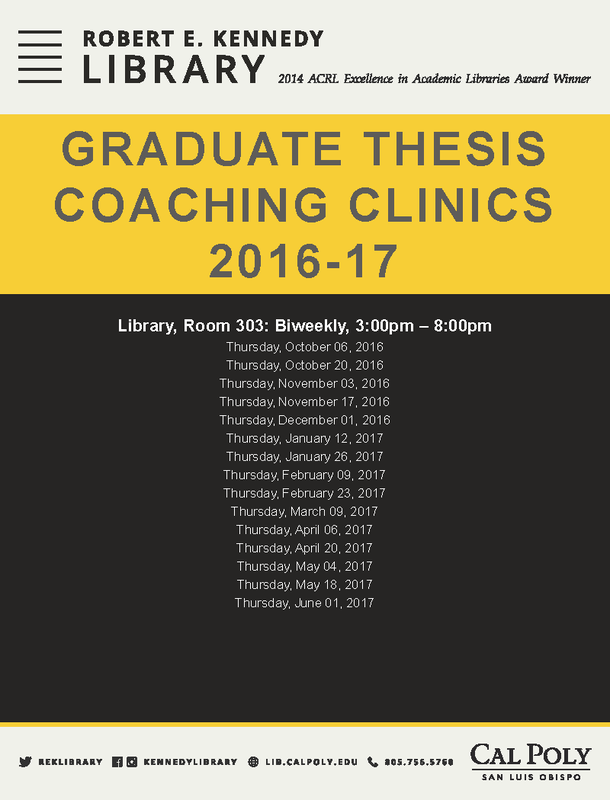 "Helping graduate students succeed in the research process"
Thesis Coaching Clinics - Biweekly on Thursdays. 3:00pm – 8:00 p.m. in Kennedy Library, Rm. 303. Welcome to the Graduate Thesis Research Guide. This guide provides a collection of materials to help graduate students navigate and complete the thesis, research, and writing process. 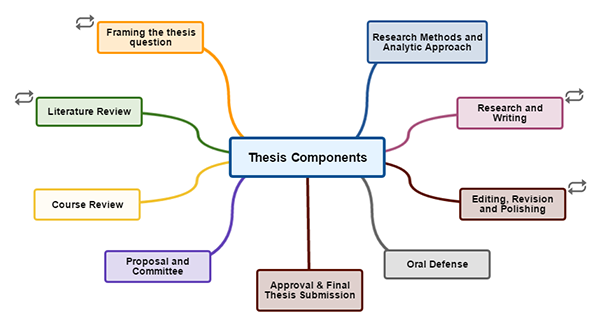 A thesis is the written product of a systematic study of a significant problem.It identifies the problem, states the major assumptions, explains the significance of the undertaking, sets forth the sources for and methods of gathering information, analyzes the data, and offers a conclusion or recommendation. The finished product evidences originality, critical and independent thinking, appropriate organization and format, and thorough documentation. Normally, an oral defense of the thesis is required. A project is a significant undertaking appropriate to the fine and applied arts or to professional fields.It evidences originality and independent thinking, appropriate form and organization, and a rationale. It is described and summarized in a written abstract that includes the project's significance, objectives, methodology and a conclusion or recommendation. An oral defense of the project may be required.